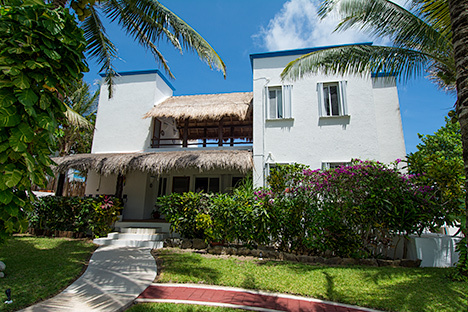 Playa Azul, meaning "blue beach" in Spanish, certainly is an apt name for this delightful beachfront villa! You will see EVERY shade of blue imaginable. 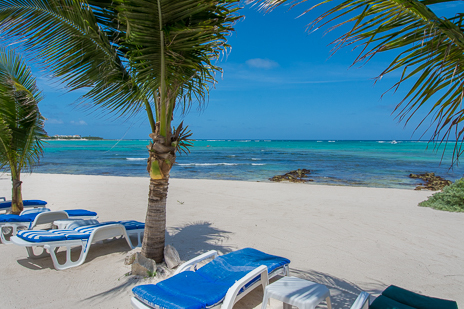 Dig your toes into the sand along the beautiful beach! 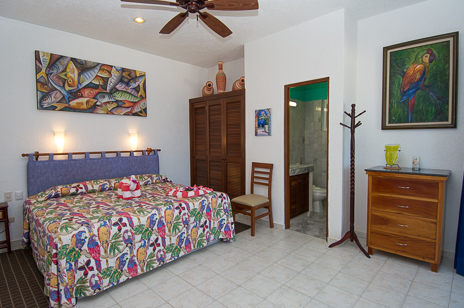 3 bedroom safes - one in each bedroom and an additional fourth kitchen area safe for your laptops, cameras, etc. Satellite TV, VCR, Stereo, CD player. Video library and popular children's video collection. NOTES: Rates include 19% tax. 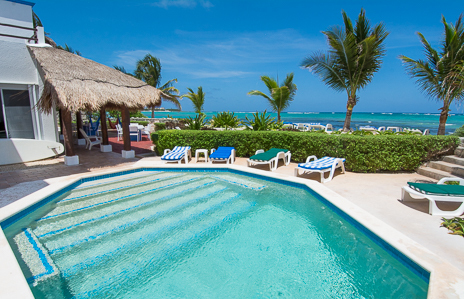 Rates are based on 6 guests; add $300 per person for additional guests (max. 6 adults, 2 children). 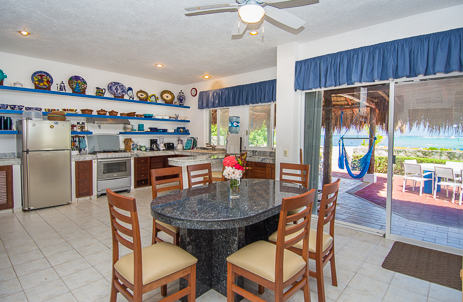 Rates include cook and all amenities. Sat. to Sat. reservations only. 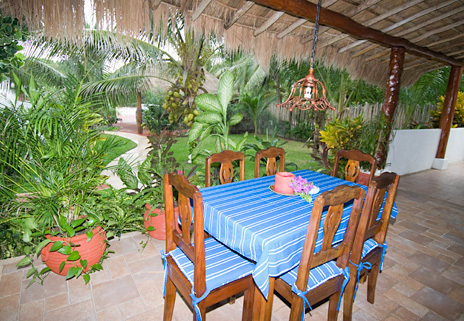 More about Playa Azul . 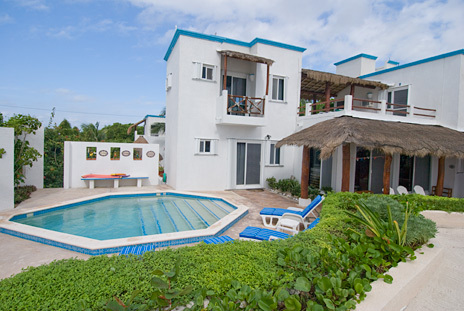 . .
Villa Playa Azul is a very popular vacation rental villa in Tankah. 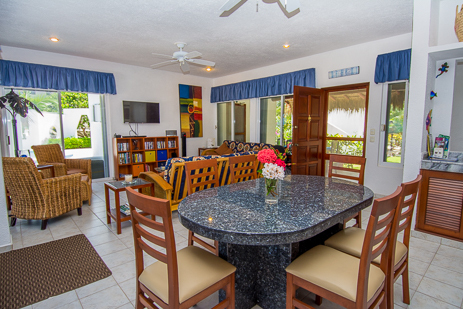 This beautiful beachfront property is ready and waiting for you to enjoy your tropical vacation south of the border. 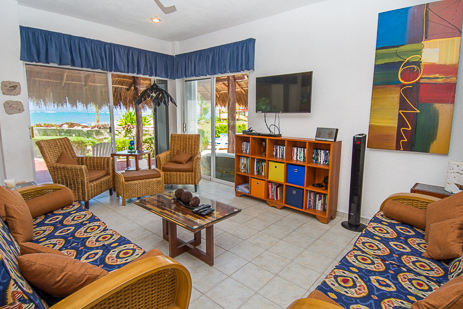 The Playa Azul was designed to take advantage of the stupendous ocean views and gentle sea breezes. 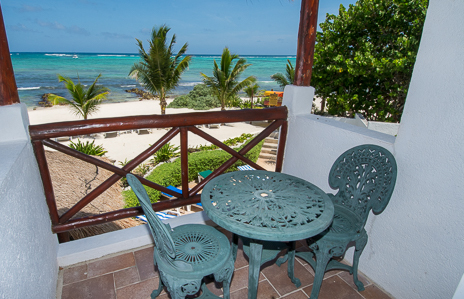 Lounge in one of the second floor hammocks and you'll have views of the brilliant blue sea and the emerald green jungle. 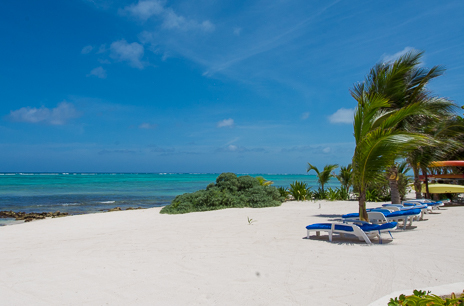 The white sand beach stretches as far as you can see. 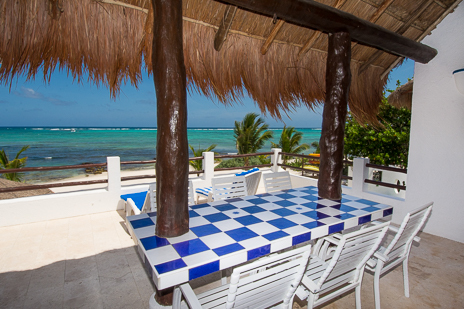 Another hammock hang-out is on the lower palapa patio overlooking the ocean. 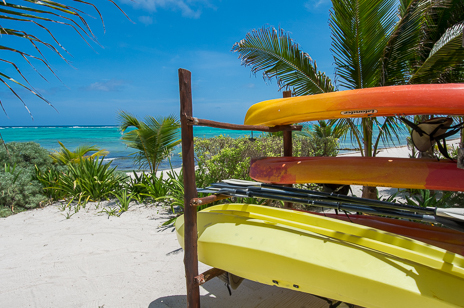 A sea kayak is provided so you can paddle around the bay and explore the area coast. 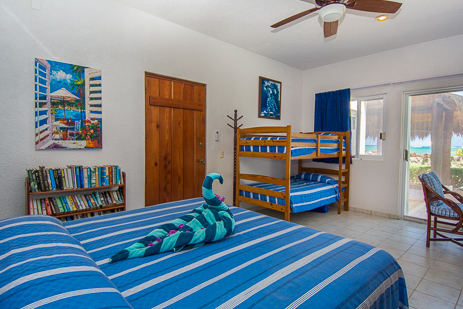 Playa Azul comfortably accommodates up to six adults and two children with three bedrooms. 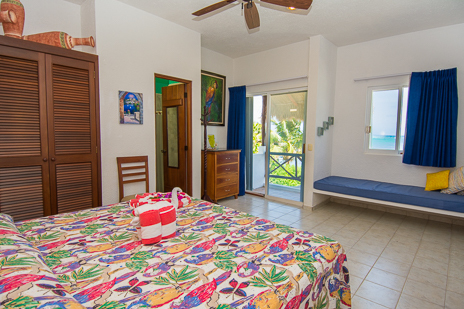 First bedroom is on the lower level with ocean views and private bath. 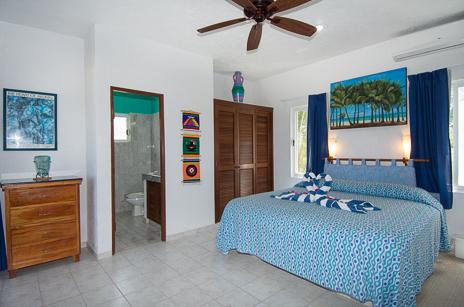 Other two bedrooms, each with private bath, are on the second story and these also have stunning ocean views. 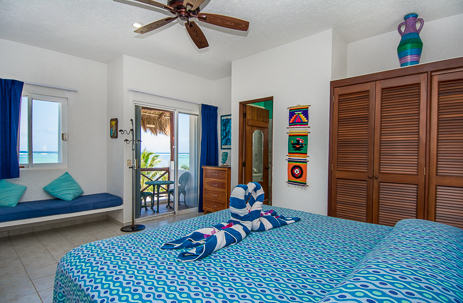 Between the two upper bedrooms is the large open terrace with thatched roof; this is the perfect place to catch as the sun rises over the sparkling turquoise sea or in the evening watch as the sun sets in the west. 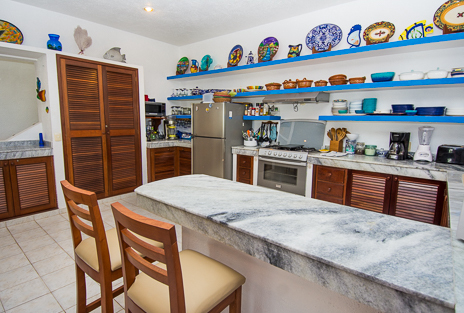 Main floor of Playa Azul is open and airy with roomy living area, good size dining area and large, fully equipped kitchen. 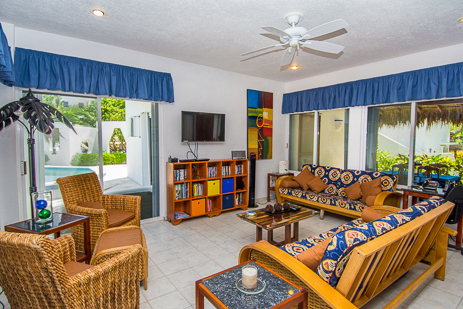 Numerous windows allow ample sunlight, providing a bright cheerful atmosphere and good ventilation with tropical breezes for your comfort. 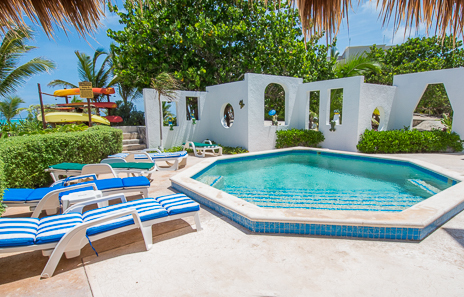 Casa Playa Azul is located in Tankah, a stretch of beach with several other rental villas and a terrific little restaurant/bar right up the beach. 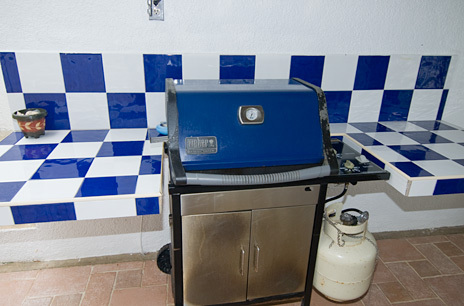 Casa Cenote (named for the cenote across the road), serves some mighty good food; their Sunday Texas BBQ is popular. 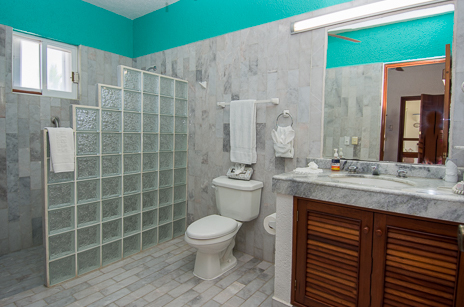 If you are looking for a quiet, peaceful area, you'll love the solitude of Tankah. 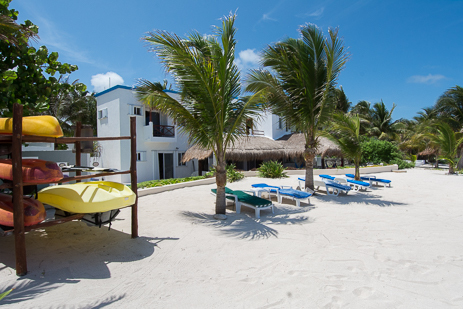 If you want to explore the Mayan ruins of Tulum, you're less than 10 minutes away. And, you'll also find other interesting sites within 20 minutes either direction. 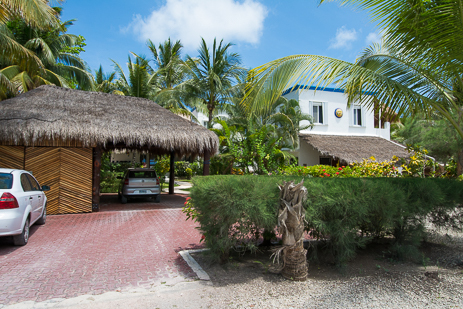 The town of Tulum is about 7 minutes away; Akumal is about 15 minutes north; Playa del Carmen is about 30 minutes away. 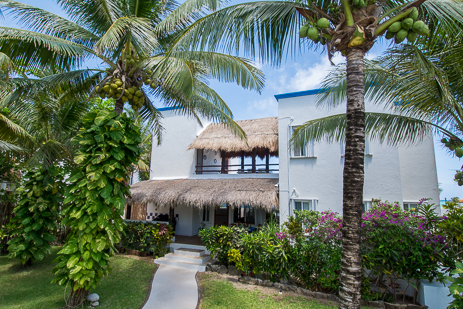 Most of the time you'll want to relax at Playa Azul: Lounging on the beach, sipping a cold cerveza on the second story terrace, snoozing in a hammock or enjoying a tasty margarita on the oceanfront patio. 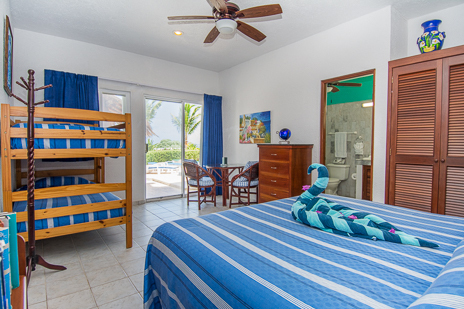 Villa Playa Azul is a private vacation villa owned by Americans who have added extra special touches (such as the Sealy Posterpedic mattresses and fine quality Egyptian combed cotton sheets). 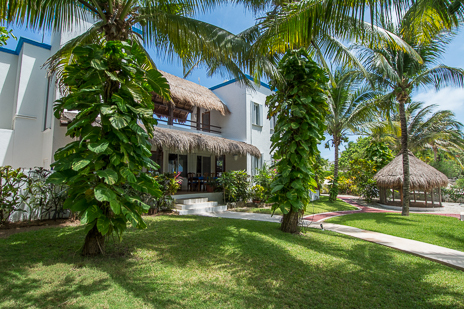 The owners are graciously sharing their tropical hide-away with guests who will respect their property, the spectacular bay and its fragile coral ecology. 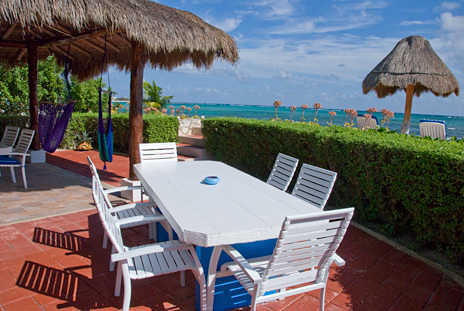 Seaside patio area has tables and chairs plus hammocks! 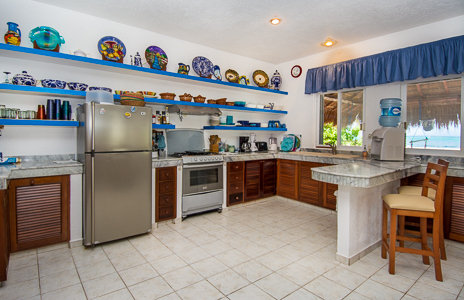 Fully equipped modern kitchen and there is cook service, too!